Bart’s Blister from a hard day of riding snowmobiles. Maintaining healthy hands for riding is key if you want a productive summer. Some of the most common problems motorcycle riders have are preventing the development of unwanted blisters and building calluses. Many people overlook the fact that hand health is important to make the motorcycle experience a positive one. Track day enthusiasts will go out on their first day of a two-day weekend and show me their blisters. Fathers who send their kids out on dirt bikes and are shocked to discover that their kids develop blisters in 30 minutes. Those blisters make riding the next day miserable, painful or nearly impossible. I have many years of motocross and sportbike racing experience and have devised over 20 tips for professionals and novices alike to have the healthiest hands for racing. Read on and consider offering up your own tips and tricks to me. I have presented what has worked for me, with respect to motorcycles enthusiasts, dirtbike, motocross, track day and sportbike racers and even snowmobile riders alike. I’ve pulled much of this information from my own experiences, as well as, obtained others input. Strong and fit hands are a must for motorcyclists: Many track day enthusiasts go out and get blisters on their first day of riding on the track. This is mostly due to over-gripping and ill-fitting gloves or you simply don’t have proper calluses. Improving hand health will make the entire motorcycle experience a positive one. Try these easy steps and enjoy good hand health for your entire life. One of the ways to prevent blisters is to build a protective layer of calluses, healthy calluses. The other is to promote or prevent the hot spots that cause blisters that cause calluses. Maybe by wearing better-fitting gloves or using moleskin or tape or building you can ultimately build better calluses. Building Good Calluses: To build calluses you have to use your hands. Some of us with desk jobs do not build calluses needed for riding – the keyboard just doesn’t cut it. The top layer of skin, the epidermis is made of dead skin cells that come from the dermis below. The thicker the layer, the less sensitive it is. Calluses are thick layers that don’t form blisters but are still soft and flexible enough not to crack, restrain movement or interfere with sensation. Calluses require friction and movement to trigger growth, yet lotion is required to keep hands moist and healthy as well. To keep the calluses from overgrowing – as they tend to crack – one of the only solutions is to peel them off exposing new skin. Calluses are built up from friction and/or pressure; it’s essentially the buildup of keratin-dense skin over the existing top layer of skin (this keratin is more nail-like in its structure than hair-like.) Pressure is how string instrument players build callus over fingertips and how weight lifters get calluses on their palms. Heat: From my experience the heat caused from friction is the best form of callus development. Blisters: It’s so important to be aware and know the signs of blisters forming. If a blister forms or worse bursts, you are back to ground zero. Your trusty boy scout manual will tell you if you get a blister on your foot, don’t pop the blister unless it’s necessary. It’s much better to tape the area just before the tender area forms into a blister than to let the blister form burst then get infected. Cracks or Dead Skin: I suggest wearing these spots down on concrete. After all, concrete and brick walls exist everywhere. Using a concrete or brick wall (a little at a time) rubs the calluses down ultimately keeping them from getting to brittle so they crack and brake off. Again, be aware and don’t over do it- you will have to experiment some. Ideally, you should wear down a little each day so you can continually grow new skin. Consider purchasing a foam sanding block from your local hardware store. Fine/Medium grit works fine – when the callus gets thick and dry, start sanding it down to a thickness that allows movement and is flexible. This sanding action helps stimulate new callus growth as well, I happen to use the brick wall at my office. Over Soaking: Don’t over soak in the bathtub. Water can penetrate your skin and prune your hands up in weird ways – If you soak yourself in the tub, make sure to put your hands in last to reduce the time the hands soak. Also, take shorter shower. It was recently suggested that the pruning effect that occurs on human hands after being in the water for over 20 minutes is genetic to aid in gripping underwater. In my opinion long exposures to water is not terribly harmful to healthy hands for motorcycle riders/racers but it doesn’t help either. I prefer not to be underwater for a long time, this has been helpful to me. If you incorporate swimming into your cross training regimen consider using baby oil or suntan oil on your hands before going into your swim, this seems to help for swims under 20 minutes. Once you have a boxers fracture & surgery and the cast comes off or the pins come out for example, you now have baby skin on that hand. Don’t waste anytime to prepare you hands for you next track day or dirt bike excursion. The Moving Blanket: Friction is the key. Depending upon what your roommates, wife or husband will let you get away with, I suggest hanging a moving blanket onto your wall in the closet, kitchen or workout center. Often the freight elevator of most apartment buildings uses moving blankets to protect the elevator from people moving in or out. My suggestion is to rub your hand back and forth on the moving blanket till they get a bit hot. Do this exercise for three sets a few times, per day at first then increase as necessary. I was able to start to build healthy layers of skin this way after getting pins removed after a crash in T4 at Road Atlanta that broke my fifth metacarpal the dreaded boxer’s fracture. 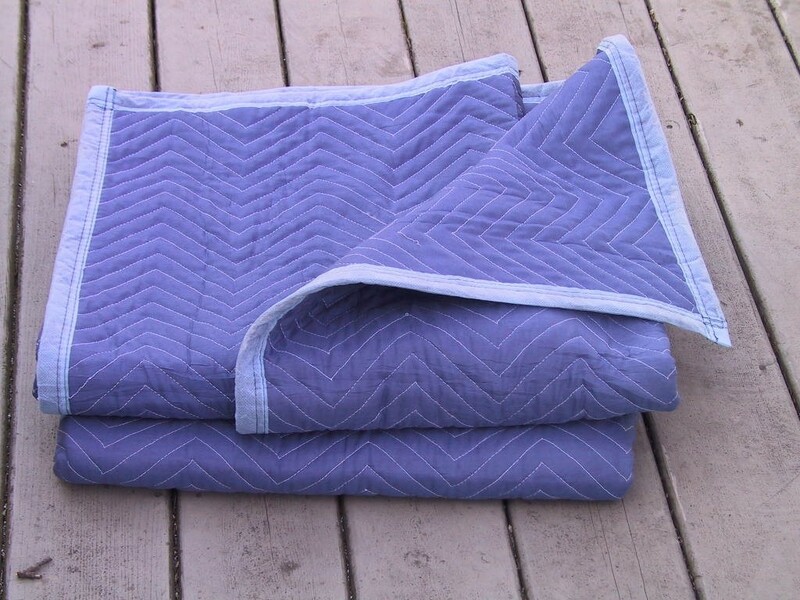 Moving blanket is perfect for rebuilding a few layers of epidermis after hand or arm injury. Isometric Exercises: This blog post is more about building healthy calluses than hand strength. Purchase a hand squeeze tool. (or Silly Putty!) If you have a long commute to work, consider keeping it in your car. I suggest purchasing more than one and leaving them in various places around your home. For example, you can pound out a few sets while making coffee in the morning, so keep one near or in the drawer in the kitchen. Ride more motorcycles: The more you perform at your sport the better. It is suggested that sportbike racers should cross train with Motocross. Also, road bicycle racers should cross train mountain bikes. 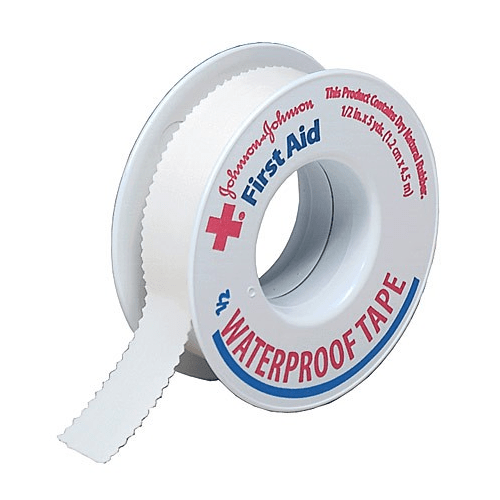 It is most important to be aware of your hand health, if you sense a blister forming, wrap your hand in white medical tape – just like good pressed coffee, catch the water just before boil. Don’t let that blister form! Tape your hands: Don’t tape your hands all the time or simply out of habit. Let the skin on your hands start to get sore before taping them. Be sure to read the signs before adding the cotton medical tape. Pay close attention between sessions and at the first sign of reddening, tape those palms up. I personally wrap them all the way around the hand, just below the knuckles. With all these suggestions, be careful to not over do any one exercise. Everything in moderation. Many of the items below can be used for generic hand care. These items can be added for your future healthy un-blistered hands. Chopping wood: Cross train by chopping wood (use your gloves and or bar hands)…or weight lifting. Push-ups on Concrete: You can never do enough push ups, even if you have an aggressive motocross workout regiment in the gym. If you ever see Lorenzo doing push-ups it’s always in a decline position- with his feet up on the curb and his head down. This is because this is the position the sport bike racer is in while braking hard into a turn after a long strait. Rub your hands a bit in the pavement or cement to sand down any anomalies in your calluses. Cleaning Hands: After changing a rear wheel and touching the chain, your hands can get quite greasy. To remove grease and grime from your hands at the track, don’t use Gook or similar grease removers. They are chemicals that are bad for your hands. Consider using a suntan or baby lotion instead. Simply apply the oil using a squirt bottle and wipe clean with a dry towel or mechanics blue paper towels. Wipe Hands on Cement: We mention this again because it is extremely important. Slowly and often you should rub your hands on cement or bricks to continually wear down over-grown calluses. Calluses remain healthy if managed properly. How much is enough? Use your better judgment and don’t over do it. Sand off the cracked calluses or over-grown calluses gently and over a few days. I have brick walls at Design Engine and I use the walls each day. Sculpting: If you’re artistic- sculpting. Building stuff with your hands using clay is a great hand exercise but may not in itself build calluses. 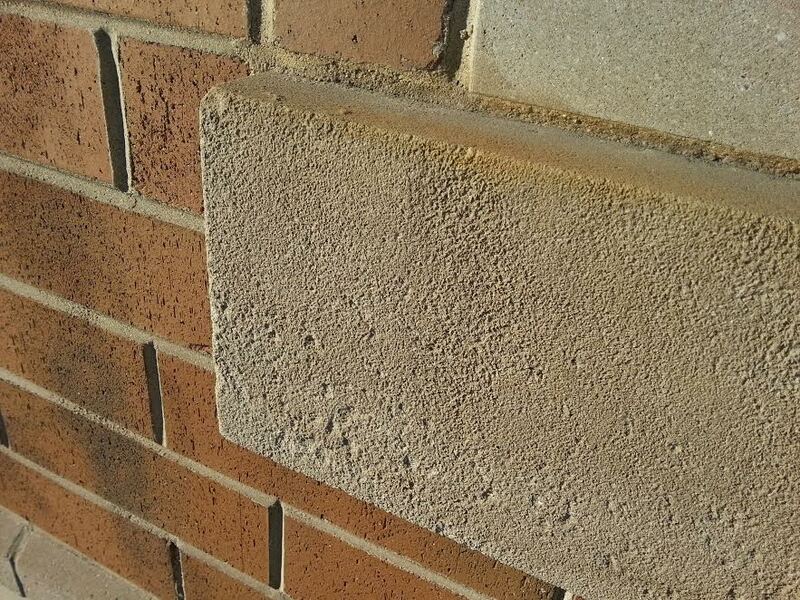 Example of a concrete wall I use to wipe down my calluses once per day. Manicure: If you’re too cool for school, you never get manicures. But if you happen to find yourself in the nail salon, let them trim and clean – but don’t let them take off your calluses! It’s important that you do that work yourself. Shovel Sand or Snow: My favorite exercise, Really. Might be a small exercise and look really strange moving sand from one place to another, just for the exercise. You might incorporate something to your significant other’s agenda like build a garden or move it from one place to another. But, be careful many Chicagoan’s each year die of cardiac arrest from being a good Samaritan. Shoveling snow is a great exercise for those already in good shape, but be sure to breathe and be aware of your heart rate and limitations. Sweep or Mop: Your wife or girlfriend (or husband or boyfriend) will love you for all the work you volunteer for in and around the house – don’t let her/him know the truth. Rub Your Significant Other: Offer to rub your significant other all over. I make a joke about it but the truth is my hands need the exercise anyway and giving my girlfriend a good rub down and often is a great way to experiment. I doubt anyone would ever object unless you rub too hard of course. I have some very specific exercises that she will enjoy, as well as, gives me the chance to stretch those tendons and work all those hand muscles alike. Since this is not related to building calluses or avoiding blisters specific, I will elaborate on this in a future blog post. In the gym: It is generally believed that a healthy workout program designed for motocross is light weights with more repetition. (i.e. endurance training.) After all you don’t need to pick up the motorcycle, you need to ride it…. unless you crash and need to pick up your bike before the ambulance crew arrives. I try to ride my bike back after a crash. Bar rolls: On a 45lb bar with none, 10 or 25lb plates sit on the bench press stand facing the bar and roll the bar 25 times one way and 25 times the other. You can also tie a cord or rope to a weight and twist the bar to roll the weights up and down. Experiment with and without gloves. You will build calluses inside your gloves as well. Baby Skin: The skin of a baby. Generally referred to the new skin after dead skin flakes away after a cast is removed. Pruning: the waterlogged wrinkles that emanate on your hands after being in the water for long periods of time. Although we’re not convinced this is unhealthy for the motorcycle racers hands, we avoid the pruning effect whenever possible. I love hot yoga, but the 90-minutes of continuous sweat causing the hands to prune is my biggest complaint. Metacarpal: The five bones in the human hand that connect knuckle to wrist bones. Myth– Gasoline: Wash hands with gasoline. I found this suggestion online and I strongly suggest not doing this. I’ts a good idea to use latex gloves when cleaning your dirt bike air filter with gasoline. I also suggest you avoid fuel spills on your hands as much as possible. If you do get a gas spill realize that fuel penetrates the skin directly and goes directly into your bloodstream. In the end, I suggest you try part or all of these suggestions by experimenting, and you are well on your way to good hand health and a long enjoyment of riding or racing motorcycles. Don’t waste any time to prepare your hands for you next track day or dirt bike excursion. If you have some other ideas on healthy hands and building healthy calluses specifically, please email me your ideas to bart@designengine.com. I’ll add your ideas to this article. Bart Brejcha, bart@designengine.com, teaches many of the surface workshops in both Solidworks and Creo (was Pro/ENGINEER) for design engine. Bart is an avid motorcyclist racing sportbikes and riding motocross as much as possible.